Presiding Bishop Curry holds the primatial staff. 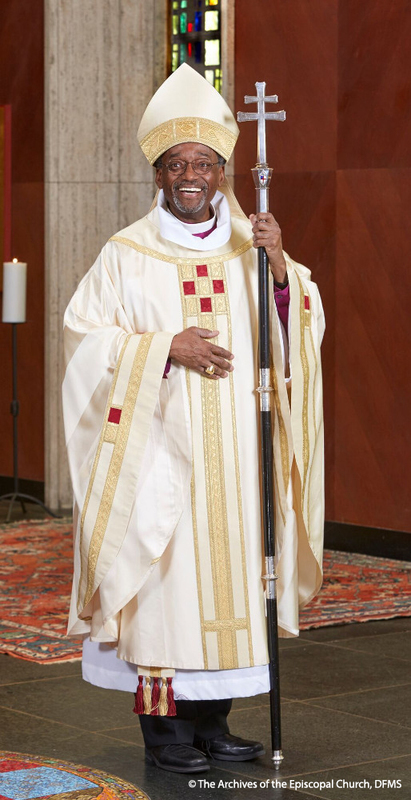 Curry was installed as the 27th presiding bishop of the Episcopal Churh at an installation service at Washington National Cathedral on Nov. 1, 2015. “Presiding Bishop Curry,” The Church Awakens: African Americans and the Struggle for Justice, accessed April 25, 2019, https://episcopalarchives.org/church-awakens/items/show/474.